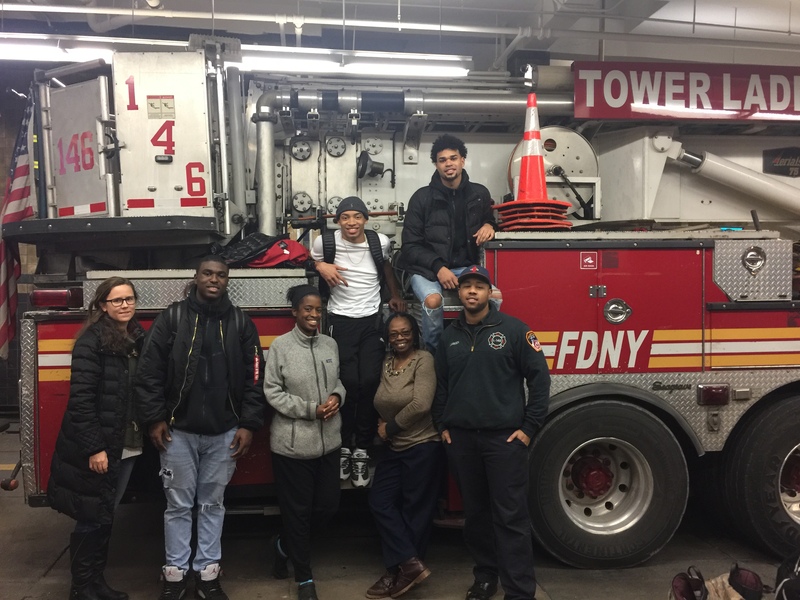 Special thanks to students, teachers, and WHSAD alum and firefighter Antoine Lamaison of Engine 229/ Ladder 126 for their efforts on this year’s canned food drive. 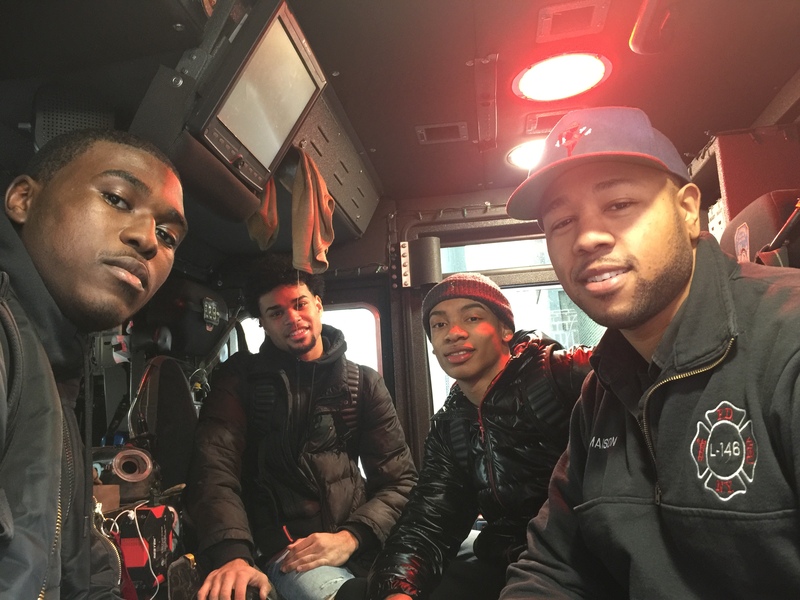 Students were able to tour the firehouse and one of its engines courtesy of WHSAD alum and firefighter Antoine Lamaison. This holiday season WHSAD students are using their time to collect canned goods for the hungry in our community. As part of the initiative, students created boxes for each classroom, publicize on a daily basis, and collect during each day’s fourth period. Yesterday, December 18th, had a few of WHSAD’s seniors, along with teachers and H.E.A.L.T.H. for Youths partners, dropping off some of the collected cans at local firehouse Engine 229/Ladder 146. There, the students had a chance to meet a WHSAD alumni of the graduating class of 2008, Antoine Lamaison, who serves as one of New York City’s bravest. A special thanks to Heather Butts and Anthony Antonucci of H.E.A.L.T.H. for Youths for working with Ms. Spaziani in organizing the collection and organization of cans. A special thanks to Ms. Sabic for supervising the decoration of the boxes and Ms. Newton for assisting in 4th period can collection. And finally to SKILLS USA members for collecting the cans during Period 4.